Room, Room, Room is found in this 3 Bed /2.5 BA residence. This remodeled home is the PERFECT PLACE to call HOME! SPACIOUS rooms with hardwood laminate floors throughout... no carpet found here. Granite counter tops in the kitchen with all stainless appliances to remain. Master bedroom with deep closet and on suite bathroom. Lower level has HUGH roomâ¦ ideal for a family, game or bonus room with Stone F/P. Conveniently located is an adjacent 1/2 bath. Laundry room with utility sink. Wonderful covered deck off the dining/ kitchen â¦.Ideal for outdoor entertaining and cookouts! 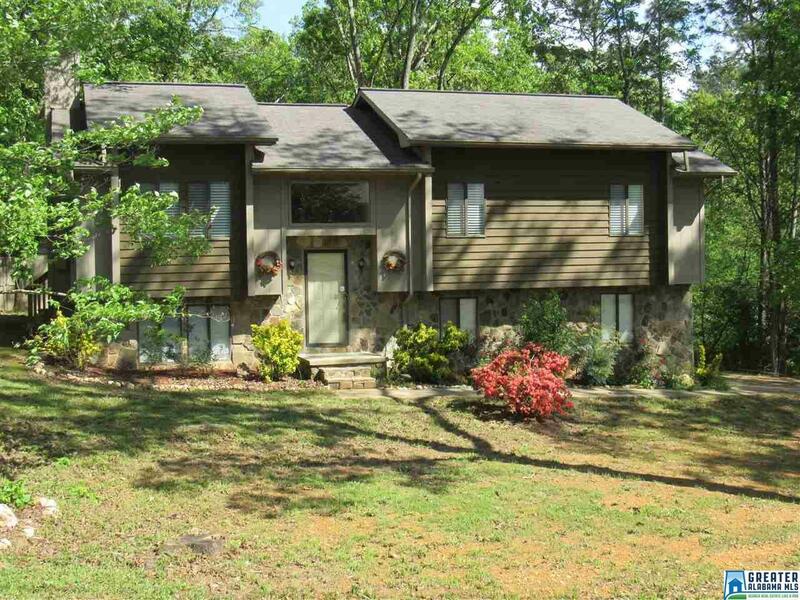 Located on Huge lot with 3 sides fenced and a treed line backyard. SPACIOUS inside and out! Nothing to do but move in and enjoy! Priced to sale and can be yours for $134, 900. Driving Directions: From Hwy 431-N. Turn On Pitts Ave., Turn Of Post Oak Rd., Property On Lt., Sign In Yard.